Winning Won Tons! – Butter, Baking, and Bacon! You know when you order at your favorite Chinese restaurant and they offer the crab rangoons? I take issue with that. I mean, I do not eat seafood (even the imitation crab they use as a filling), and the only variety offered is crab! That doesn’t seem very fair to me. What about chicken rangoons? Steak rangoons? Or better yet….bacon??!! It is a universally known truth that bacon makes everything taste better. And guess what? 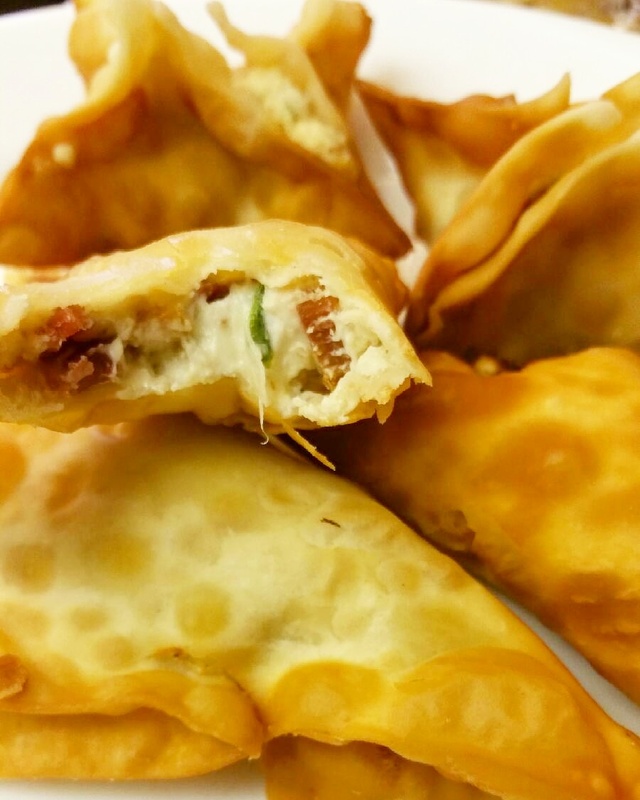 Bacon makes these rangoons taste amazing! This is one of those Domestic Diva recipes that is more of a “this is what you do,” because I don’t really measure. But I promise you’ll get the point. Mix softened cream cheese with chopped green onion, chopped bacon, and a little black pepper, pinch of ginger, and sea salt. 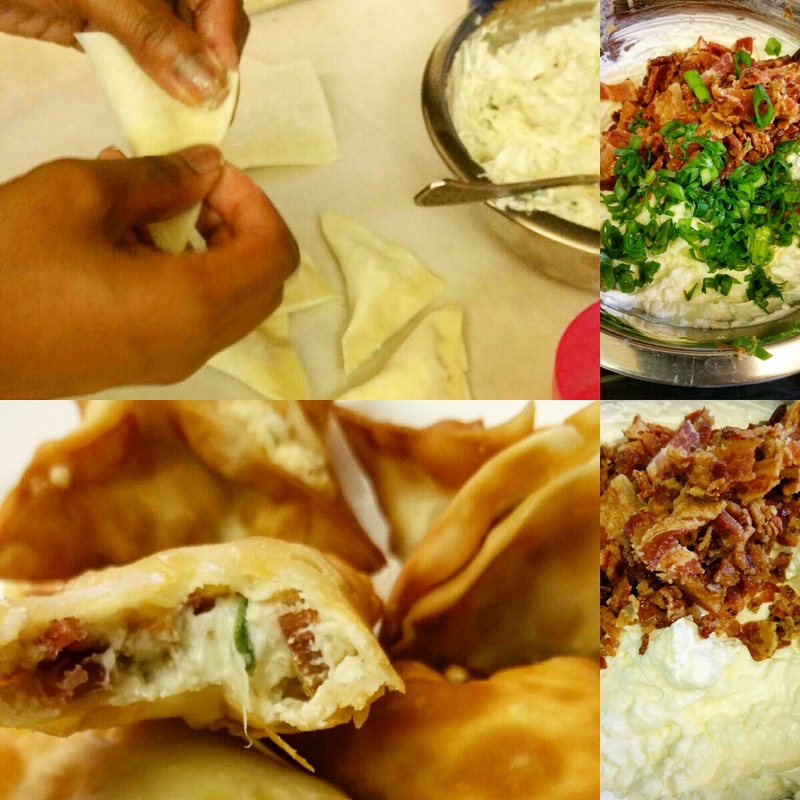 Add a dollop to a wonton wrapper, seal with water, and deep fry until golden brown. Serve hot!